Leave it to Majolica Majorca to yet again come up with a great mascara. Part of their latest collection, Secret Blink, I just love the new sister of Lash Expander Frame Plus Mascara, the Lash Expander Edge Meister (Php795). Loved for it's consistent fibers, the Lash Expander Edge Meister do not disappoint with longer lash-lengthening fibers and glossy finish. Compared to its big sister, Edge Meister is now also has a relatively shorter dual-comb brush that reach better on shorter lashes. Of course, it also has vitamin E and macadamia oil to help care for the lashes. The wand always makes a great reason why one should get this mascara. It does look intimidating at first but once you get the hang of it, you'll appreciate it's ingenuity. The longer comb spans the lashes and delivers the glossy formula and microfibers to separate and lengthen the lashes. The shorter reaches at the far corner lashes and sparse one. 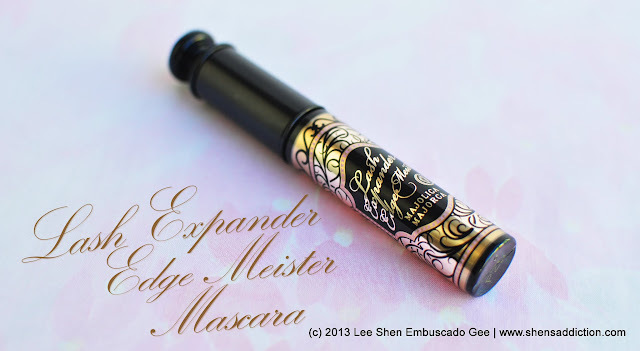 What to love about Lash Expander Edge Meister? 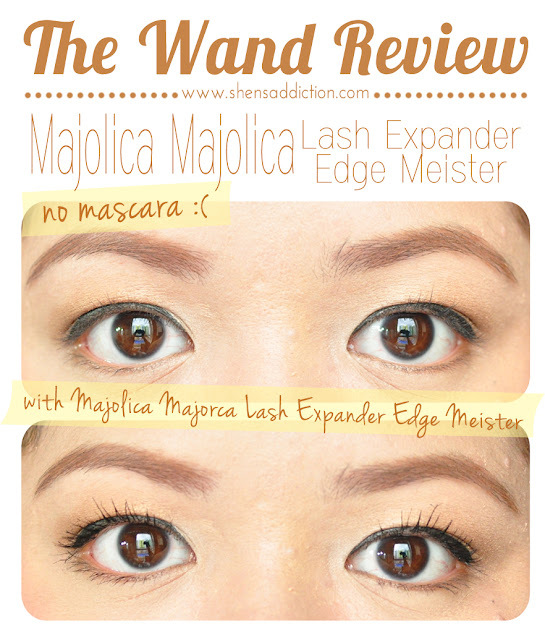 How it lengthens the lashes without the clumps and thickness. Nothing! I just love this mascara. Albeit not as cheap compared to other mascaras, I prefer using this one. Comparing it though to my 2012 favorite mascara, Lash King from the same brand, I still prefer the latter for high-impact lashes as it's the best to give me that false lash effect effortlessly. Majolica Majorca Secret Blink Collection is now available at your favorite Majolica Majorca Counter. Mine is at SM Megamall, Building B.